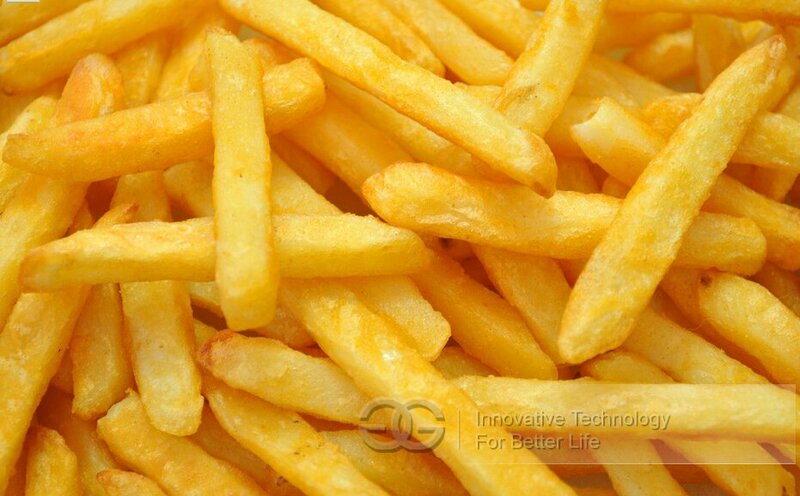 Suitable for frying chicken, potato chips,peanut,snacks, all kinds of nuts, etc. Automatic discharging system, ensuring the consistency of the food fried in frying machine. 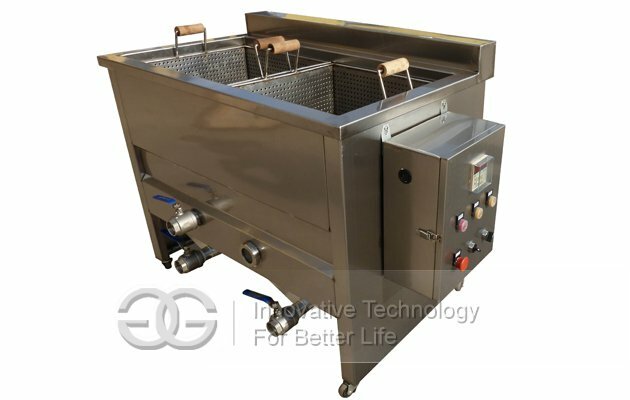 GG Electric potato chips fryer adopt the latest cook oil and water blending technology, fill water and oil in the tank, oil is floating on the water, sediment sink into the water immediately, avoid being fried and become black, keep oil clean for long time. It is greatly prolong oil use time, therefore save oil cost. Also it automatic control temperature, when temperature reach to set value, it stop heating, therefore save power consumption. 1. Adopted advanced oil-water mixture technology, oil and water would come into two layers automatic, oil is in the upper to fry material, water is in the downside to absorb some impurities or waste, which can be removed timely. Thus no waste in oil to avoid black oil or acidification problem. 3.According to semi or full automatic discharging way, we have manual discharging type and automatic discharging type for your free selection. 4. 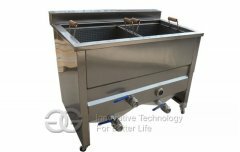 The whole machine is made of high quality stainless steel, which can reach the hygiene standard, exquisite workmanship, durable usage and easy to clean. 5.The main body of machine uses SUS304 stainless steel. 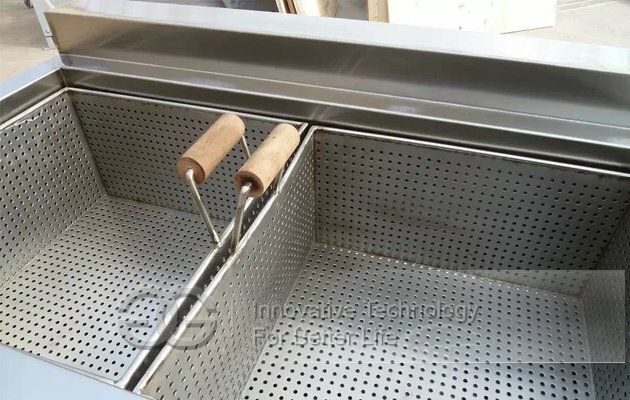 6.The synchronous of revolution and rotation mixing way,ensures the uniformity of the food Fried,in case of food stick together,because of extrusion,mixing system makes the frequency conversion.